LIC of India introduces best child plans ever, these unique child plans fulfill your children's financial need for Higher Education and Marriage. Once you buy a child Policy with us we ensure the benefits will be there if you are there or not. LIC offers optional rider Premium of Waiver to protect the loss of premiums if parents are not there forever. Child even continues the plans without paying premiums. 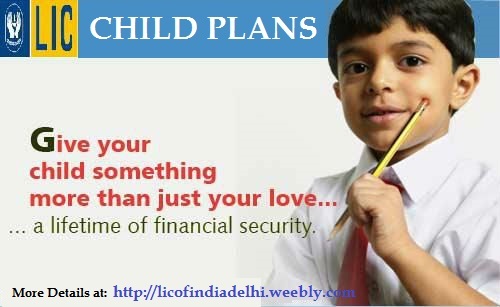 LIC is the Leader and experienced to design child need based plans, So these plans has been introduced. Every Indian parent love their children and saves money to ensure secure future to their child's education and Marriage.